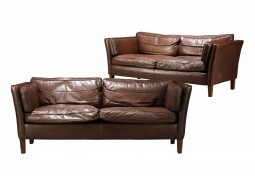 It’s relatively rare to find a pair of sofas from this period. 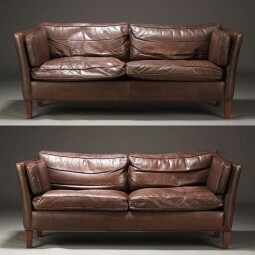 This pair have that wonderful lived in look that I particularly look out for. 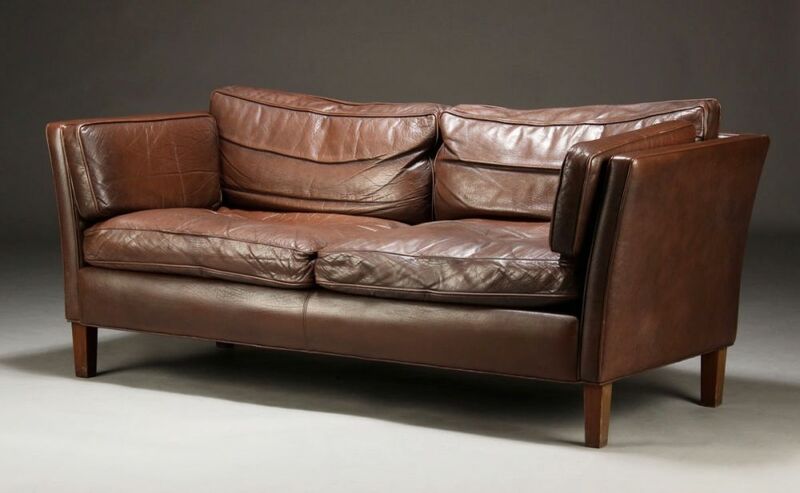 These classic sofas were made in Denmark, probably in the 1970s. They are based on the designs of Borge Mogensen from the 1960s. 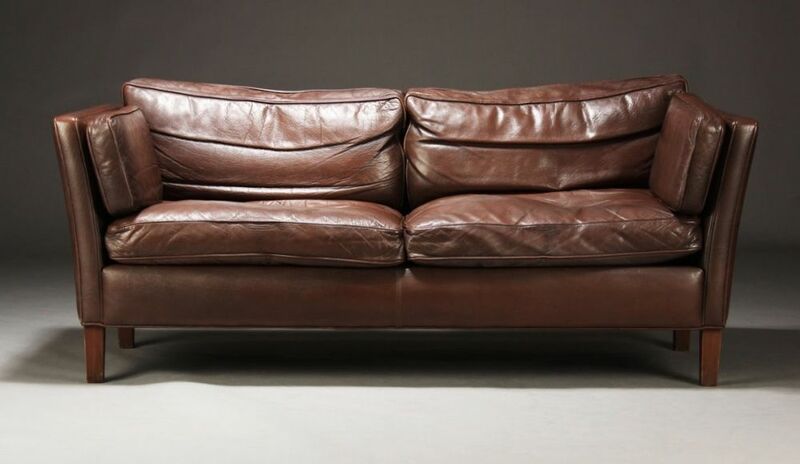 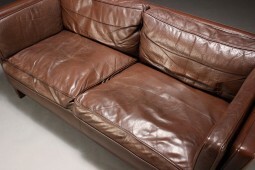 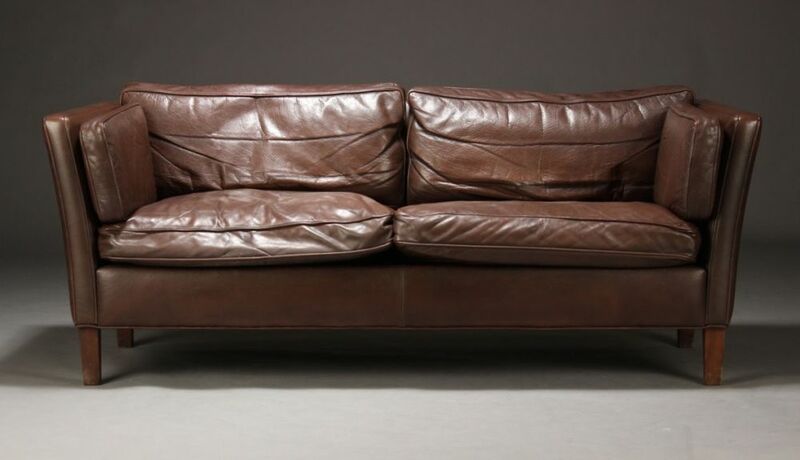 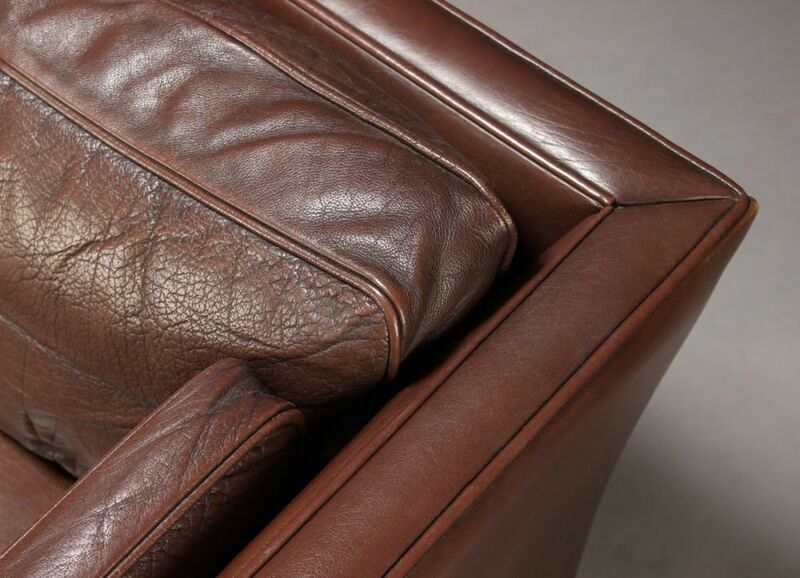 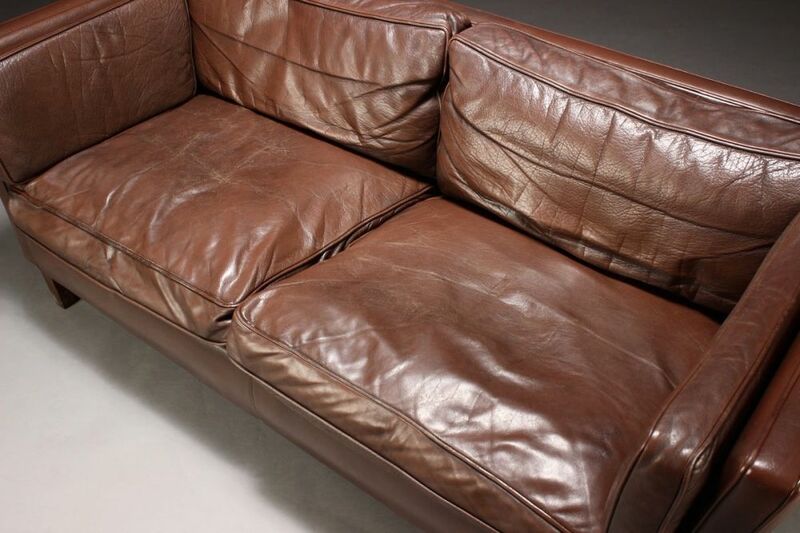 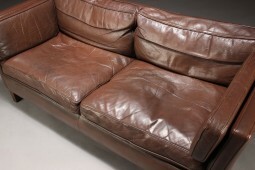 The leather is a rich mid brown colour that has developed a wonderful patination where it has been used and worn. The suite has great style: elegant, modern and comfortable, the type you can slump down into or stretch out on with your feet up. They look good from the back so could be used as a room divider, but could also be placed in an “L” shape to fit into a corner. 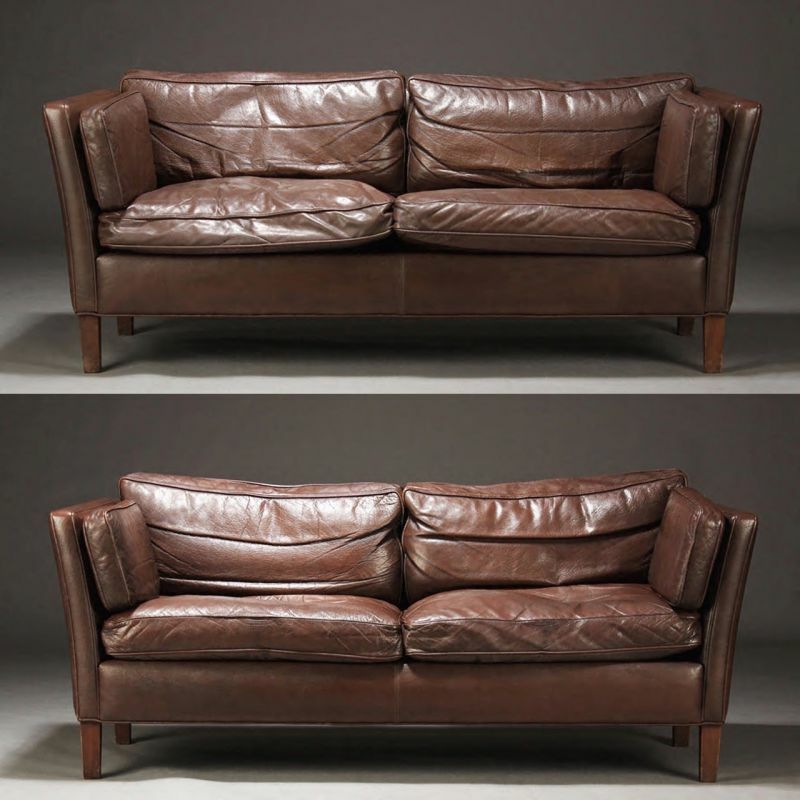 The condition is good for their age, but because of their level of use, I have reinforced the leather in a couple of places. 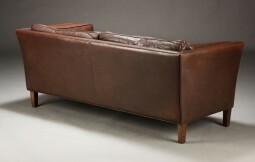 The measurements are 176 cm wide, 80 cm deep and 77 cm high, and the seat is 40 cm high.